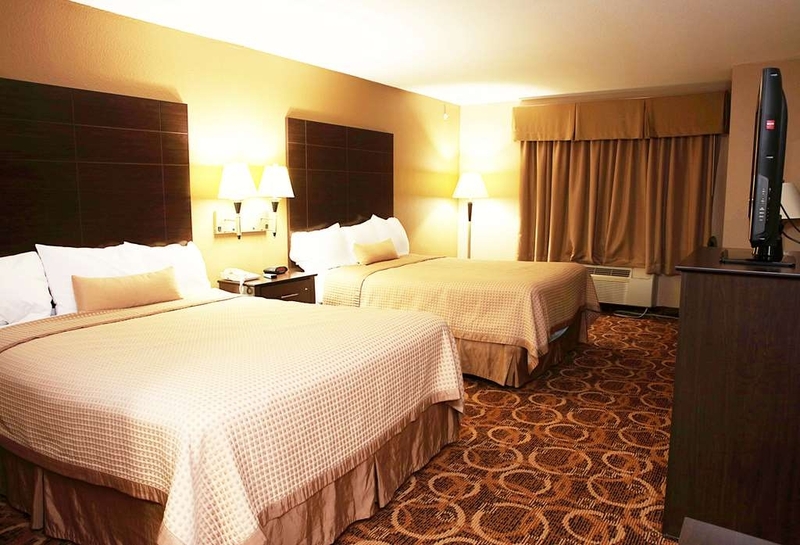 The Best Western Northwest Inn is ideally located in the center of Dallas. Come and experience our hotel near the major tourist attractions. Best price guaranteed and exclusive deals. Welcome to the Best Western Northwest Inn! Whether you want to relax poolside or take a dip, our outdoor pool area is the perfect place to unwind. Our outdoor pool is perfect for swimming laps or taking a quick dip. Splash around and have fun with the family in our outdoor pool for endless hours of fun. 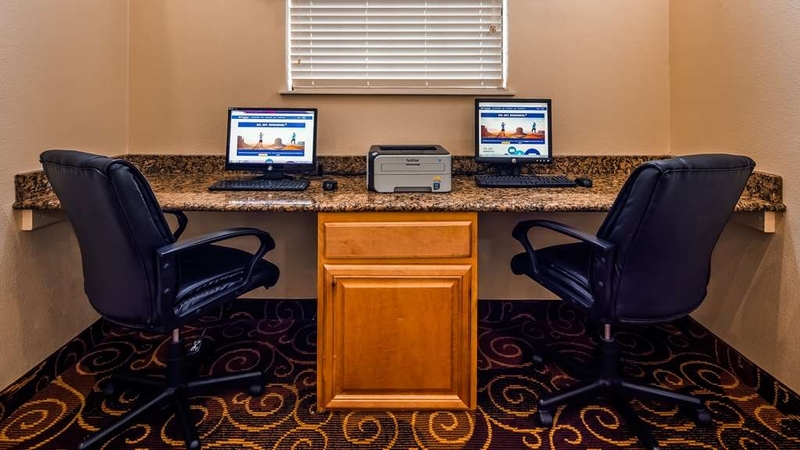 Our spacious King Guest Room features a 37-inch LCD TV, microwave, refrigerator, desk, coffee maker, iron with ironing board and complementary wireless Internet. Our Two Queen guest room includes a 37-inch LCD TV, microwave, refrigerator, desk, coffee maker, iron with ironing board and complementary wireless Internet. 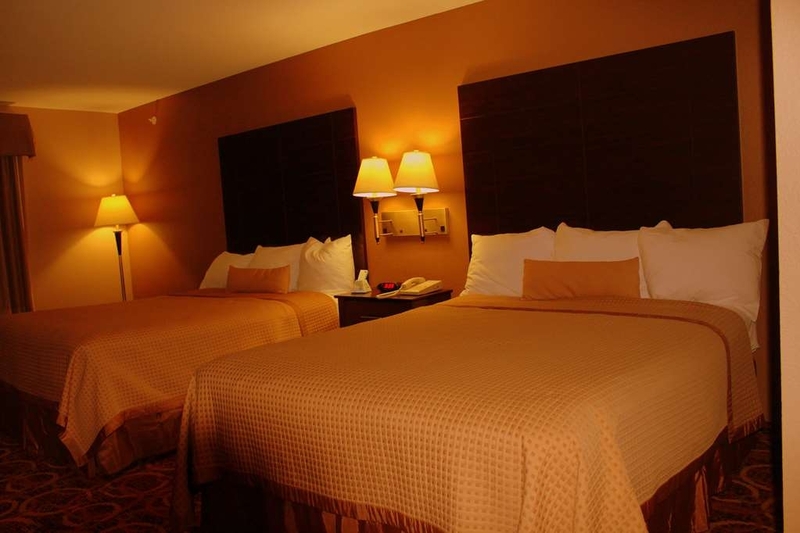 We offer a variety of double queen rooms from standard to mobility accessible. 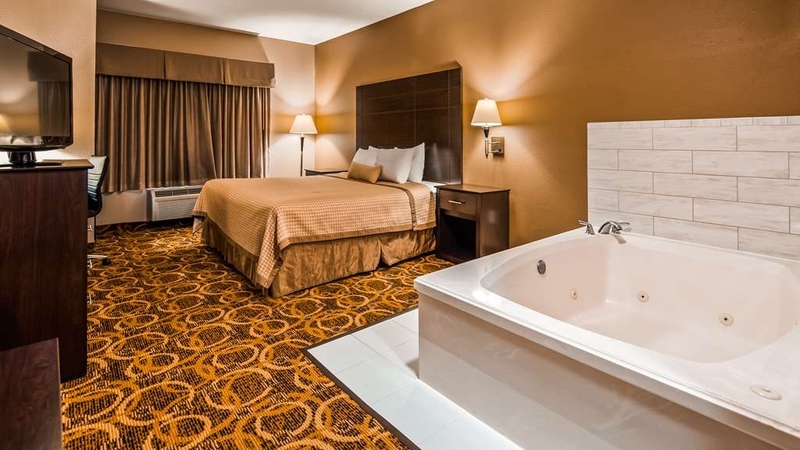 Our King Whirlpool Suite includes a 37-inch LCD TV, microwave, refrigerator, desk, coffee maker, iron with ironing board and complementary wireless Internet. 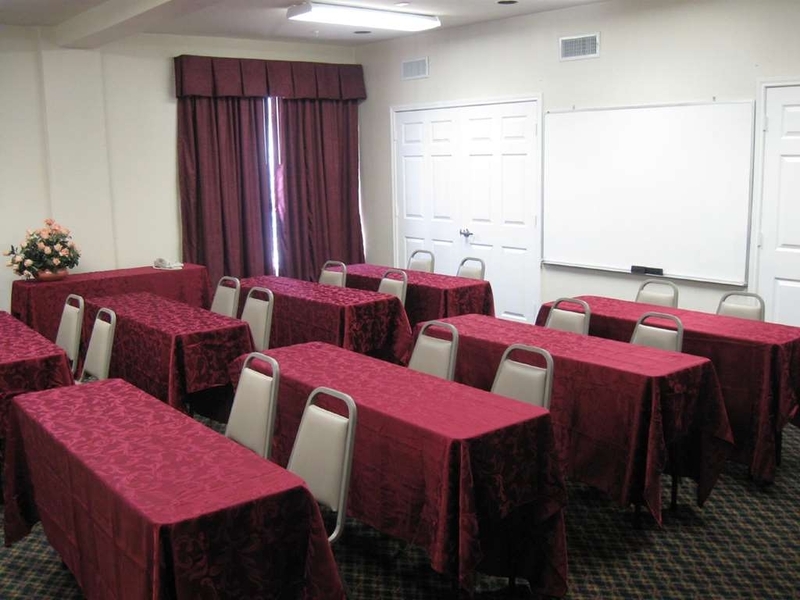 Our hotel's meeting room can accommodate up to 20 people. 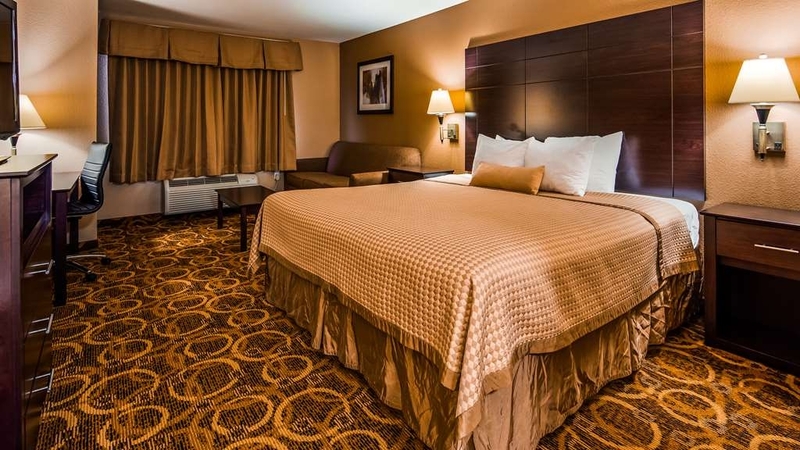 This Dallas hotel offers easy access to downtown attractions, sporting events, business locations and the Dallas Convention Center. 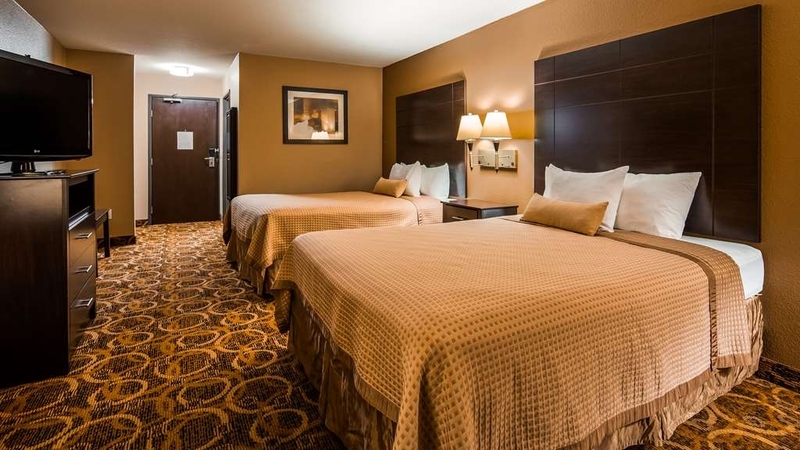 The Best Western Northwest Inn is centrally located in Dallas, Texas and is a convenient choice for guests traveling to conventions. Business travelers will appreciate the close proximity to FedEx and Southwest Airlines Headquarters. Visitors are also close to games at the American Airlines Center Sports Arena. The Galleria Mall and North Park Mall are seven miles away and provide a variety of shops and personal services. 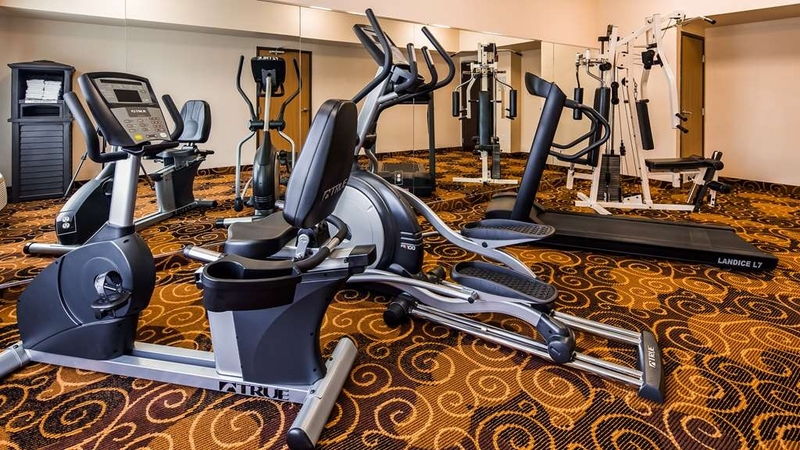 Guests at this Dallas hotel will enjoy a daily complimentary deluxe continental breakfast, high-speed Internet access, exercise room, conference room, an outdoor pool. The hotel is also within walking distance to many restaurants and eateries. 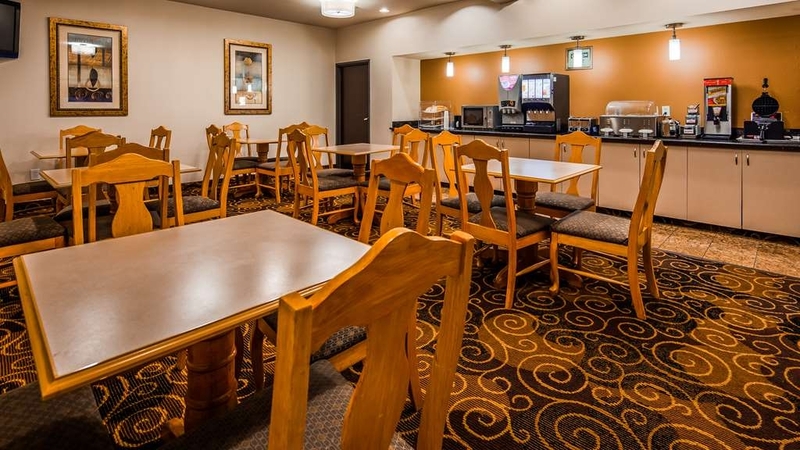 Make an online reservation today at the Best Western Northwest Inn! Picked this hotel due to price and it was centrally located. Arrive late due to a late flight and had trouble finding the building in the dark due to poor signage and GPS bringing us in the back. It's apparently a bad neighborhood. Entered the first set of doors and had to prove we had a reservation to be actually let into the hotel. Breakfast was cold every morning. The room was clean, and it looks like they've tried to make some improvements. "No Lights or electricity for almost 4 hours." Booked through Priceline for April 4-5. 20 minutes after arriving/checking in the electricity cut off in the building and stayed off for almost 4 hours, leaving us in pitch black. When the lights finally came back on, we had only three hours before we had to checkout for a flight we had to catch. Without any A/C or lights for half of the evening, it made for a rough night. Priceline called to request a refund on our behalf and the hotel staff refused, stating it was “resolved quickly”. Funny thing...I've been traveling frequently for over 15 years now and I've never had the hotel lights go out on me, much less for nearly four hours. Consider yourself warned, if you run into a problem at this hotel, they are not going to assume responsibility and you will literally pay the price. Avoid this one. There's plenty of other places to stay that will treat you better or at least provide you with the things you pay for...like electricity. Thank you for your survey. The electricity cut happened in the whole area about one and half hour. sorry for the inconvenience. Thanks, Nick. We stayed here for spring break. The room and everything was very average, but the value was pretty good for what we paid. All the employees were nice and speedy. We wished it had an indoor pool so we could've swam, but the fitness room was actually quite fantastic. Thank you for completing the survey regarding your recent stay at our property. Your business is very important to us and we value your feedback. By telling us what you liked about your stay and how we can improve, you are helping us deliver a superior experience for you and other guests in the future. We hope you will come back and see us again soon. Clean rooms, decent breakfast, helpful manager and employees. Property is easy to access and close enough to the medical facility we frequent. The Best Western points system is also a benefit. We stay here nearly every month. This is a great Hotel for the price you pay. It is clean, it has basic amenities, it is very very clean, the hotel staff is nice and friendly, the breakfast is basic but offers a wide variety. If you want very nice hotel for your basic needs, this is it. They even have a very nice pool and Jacuzzi. 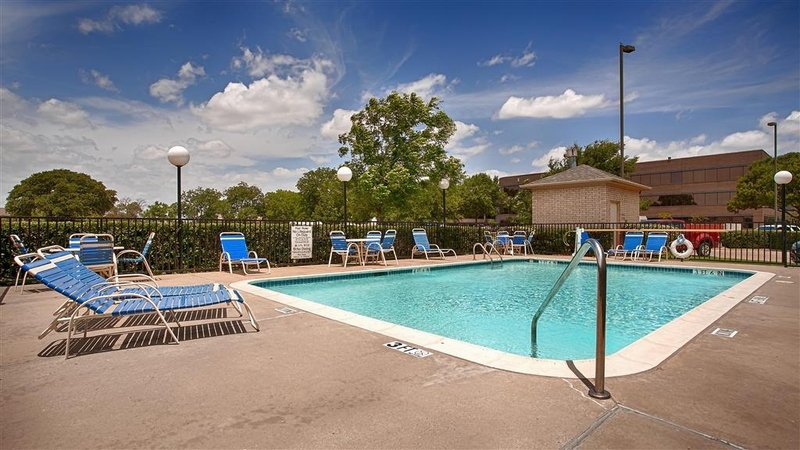 "Nice place to stay in Dallas"
The Hotel is pretty well located in NorthWest Dallas less than 17 minutes from DFW International Airport and pretty close to US 35E, US35E and LBJ Highways which allow you to drive very quickly to different destinations. Its location is close to a lot of different restaurants (Olive garden, Red Lobster, Papas, Mexican Restaurants,etc,etc)... so you don't need to drive too far to find a large selection of food outlets. The Hotel is pretty clean, very well maintained and the rooms and pretty well serviced and maintained.I definitely book it again on my next trip to Dallas. Thank you for completing the survey regarding your recent stay at our property. Your business is very important to us and we value your feedback. By telling us what you liked about your stay and how we can improve, you are helping us deliver a superior experience for you and other guests in the future. We hope you will come back and see us again soon. Thanks, Nick Patel. Great room and great service. It's located not far from the airport. Lots of restaurants nearby and stores. It was a quiet area. The breakfast needs to be fresher. The service was very good. Bed and pillows were comfortable enough however I just don't sleep well outside of my own bed. 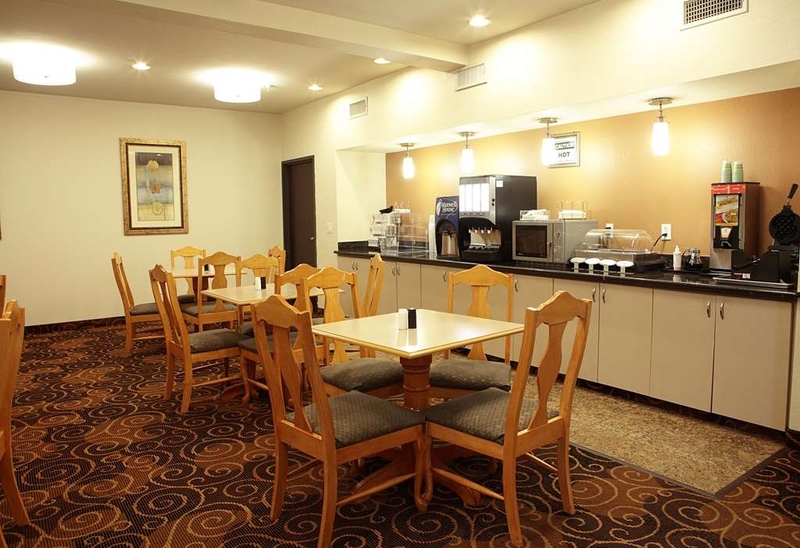 I would recommend this motel to the people who are visiting dallas... Rates are affordable, Rooms are very clean as expected and breakfast is very good with cereal,egg patties, waffle, juice and yogurt. Rooms, breakfast, front desk employees, internet, and fitness center and what not..? everything is good in this motel. I recommend to all categories of people like business, family, couples. solo and friends. It is very near to airport and quick way to catch up the downtown. "My home away from home"
Amazing service. Staff was very friendly. Rooms are Neat and clean. Awesome Breakfast. 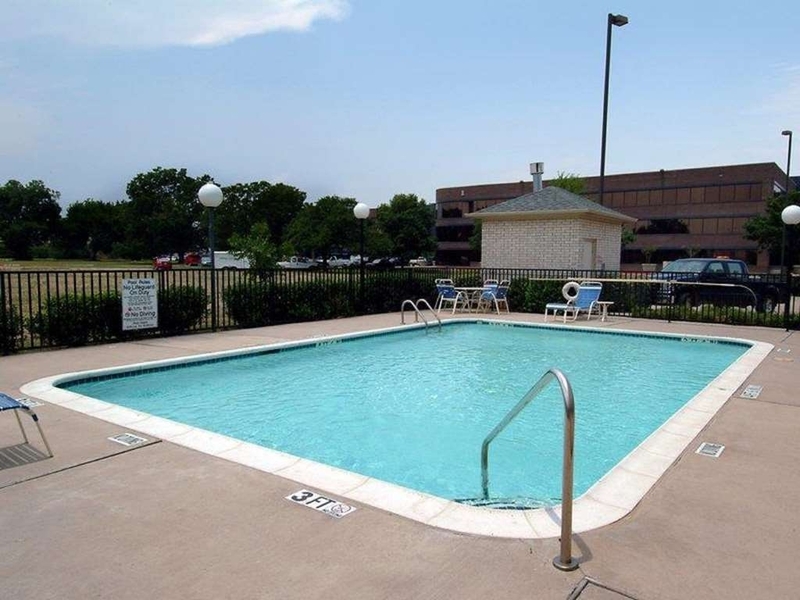 This location is close DFW airport and Love field just 10-15 minutes drive, Close to CVS & Target. Love this Hotel and I recommend everyone to prefer this location. The staff was really wonderful Nick and Adam made our stay fantastic. The housekeepers were even really pleasant to talk to and friendly. They were able to give us ideas of places to eat and things to do in the area. The hotel sits right off the highway, so there is a lot of road noise. The breakfast was terrible- the eggs were in weird cubes and the milk was spoiled. The room smelled of smoke and the bed was hard and uncomfortable. The "fitness center" was pathetic. There were only 4 items- a bike, a treadmill, an elliptical, and a"strength machine," which was rusted and looked like it came out of the 80s. One of the worst Best Westerns I've stayed at. This was my second time to stay at this hotel. The rooms were nice and clean. The only downside was the breakfast. The biscuits were not warm and the eggs were not very good. The second day I made a waffle and it was good. "Excellent local to Love Field"
Although it's not in the best part of a town, this is a clean and standard hotel. Check-in was easy, rooms were very clean and well equipped. Even though the hotel is older, there have been many updates made. Breakfast was simple, but also included hot items. "Not up to Best Western quality"
"Great to be back to this hotel loved it a lot. Feeling like I got a second home"
Only hotel in nearby which I've seen all the required facilities included. Will be coming here every time. Breakfast is good and rooms are very good.... calm and nice atmosphere. Will definitely recommend this hotel to everyone. Basic hotel, but room was nice; clean and quiet. Good location. Difficult to get to. Close to interstates and Love Field. Many restaurants are close by. Basic breakfast, but not well managed. Gravy for biscuits is like colored water. Thank you for completing the survey regarding your recent stay at our property. On behalf of our entire team, I would like to apologize for not exceeding your expectations. Your satisfaction is important to us and we will be using the feedback you gave us to implement improvements to ensure we offer a better experience for guests in the future Thank you, Nick. This property was an overall average and good enough for upto a couple of days rest. Breakfast is average but there's a IHOP just down the street and the 3rd Floor has no ice or vending amenities but the sign point down the hall and there's nothing down there but a stairway that leads to the lower floor level which has the ice machine. The bed is not too comfortable but if you like to sleep on a firm spring low budget mattress than this bed is for you. This bestwestern was disappointing. I chose bestwestern so my 4 year old son and I could get some rest and get up to catch some breakfast. The fitted sheet would not stay on the mattress. It was a wrestles sleep. When we got up at 8:30AM, the only thing left for breakfast was a biscuit and some dry/hard scrambled eggs that looked like they had been sitting out for a WHILE. Very clean even tv monitor was in clean box. Staff great, quiet, everything worked. Fresh breakfast. The wifi worked perfectly, coffee was excellent, not a spec of dust. Nice iron for my work shirt, close to airport. 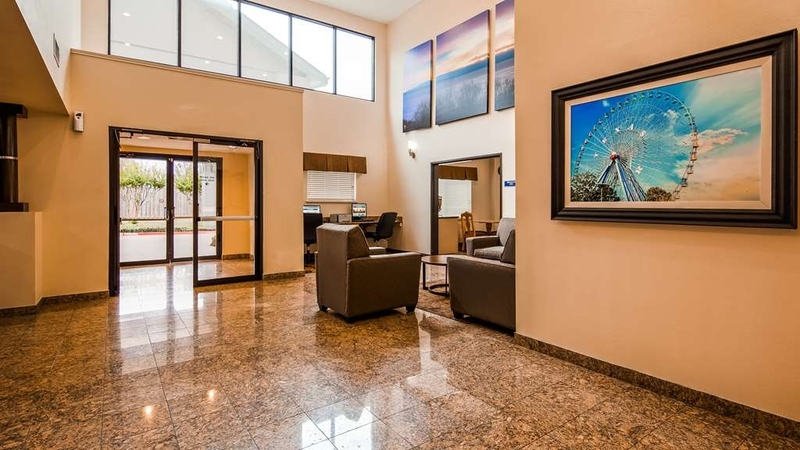 This is a moderately priced hotel in near NW Dallas, near Love Field and some great restaurants. Clean, nice rooms, generally quiet. Helpful staff. Breakfast amenity was more than adequate. We had a good stay. Appears to be new or recently updated. My wife and I stayed here after the Best Western Cityplace gave our jacuzzi room to someone else. I called to see if they offered a smoking jacuzzi room, and after telling the owner what had happened at the other place, he knocked $10 off the room for us for the night. Very much appreciated! The hotel is a little bit away from the normal places and restaurants to visit in Dallas, but since we were only interested in the jacuzzi, that didn't bother us. There was a strange smell in the hallway, but the room was clean and had no smell. The bed was comfortable and the hotel was quiet. The breakfast was nothing to write home about, but the owner was very nice and made the stay a good one. 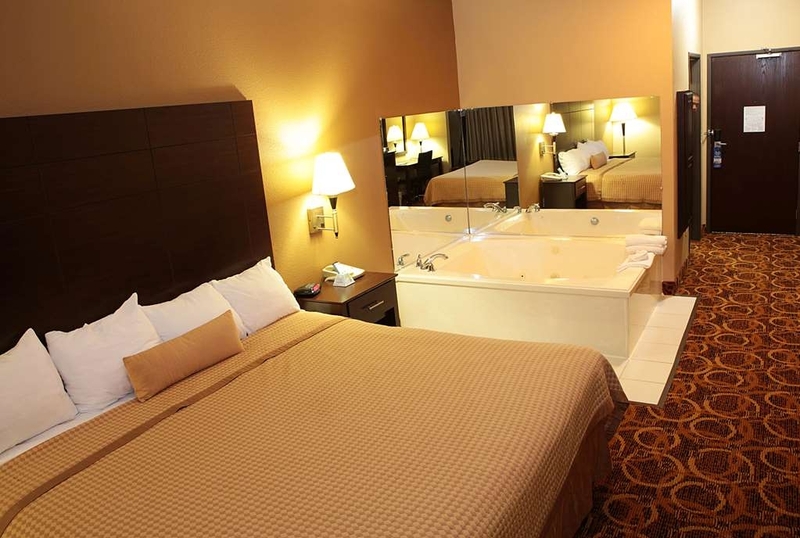 We would definitely stay here again, as long as the jacuzzi suite was available. EVERYTIME I've stayed here an issue. Broken window shades,poor lighting in the rooms to this time NO HEAT. Sad I travel all day and come in from delayed flights and your greeted with a puss poor attitude. Wake up to a stale breakfast and wish you would have driven a hour or less to a different Best Western for a better night sleep. The hard bed made folding my shirts easier. Great hotel close to everything, mechanic shop, nice dining restaurant,close to highway, major shopping center, the hotel has free plenty of parking, free continental breakfast, free working wi-fi, clean rooms, comfortable beds, daily house keeping, coin laundry on the site and very professional smiling receptionist, the price for the service well worth, I will repeat this hotel and I highly recommend this place. "Falls a bit short, but worth it"
The rooms are comfortable and clean. The staff is helpful if asked, but not particularly friendly. The breakfast buffet was adequate. The fitness center was quite good. The neighborhood is a bit dicey as the businesses around the corner have bars on the windows. There are many up-scale restaurants nearby, and the hotel is convenient to Grapevine, Arlington and Dallas. The Cons: Smell of gas in the hallway. However, could not smell in room. Sheets were clean but not crisp - maybe get contour sheets or iron them so they are not so wrinkle. Coffee Pot in bathroom - good thing I don't drink coffee...:) Pros: Room was very clean - clean bathroom Microwave and Fridge was clean Internet worked great Close to airport and restaurants Breakfast was great - good variety even Texas style waffles. 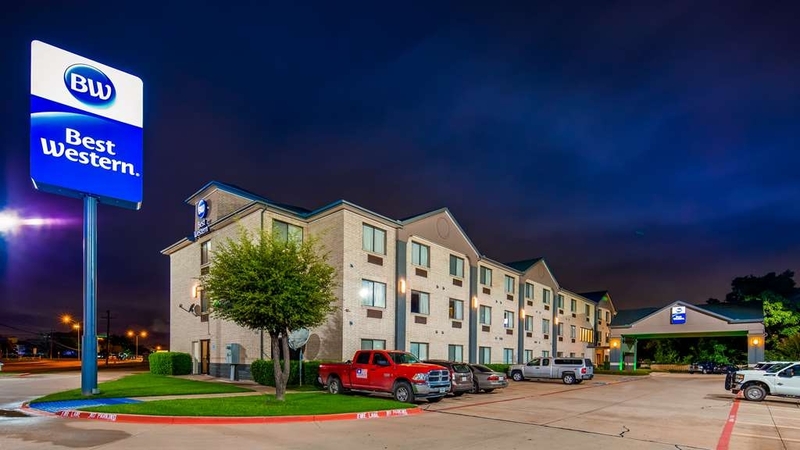 This Best Western is well located to DFW airport and downtown by train. It is about 13 minutes to walk to Bachman station from the Inn. Bus stops in front and back of the Inn. There are several fast food restaurants within walking distance, preferably before dark. This Hotel was a little ride to the airport no shuttle services but for the price when you are stranded at Love Field worked out great $10 ride from the Airport about 5 minutes away no issue catching the flight the next day. Beats the high dollar hotels in the area when all you need is a friendly face and a nice bed. The experience at this hotel was average. Nothing intriguing but it was suitable to stay the night. Price was a little steep for a basic room. Overall it was a comfortable stay. Will stay again on an emergency stay or When the price is lesser. Stayed at Best Western Northwest Inn, I'm generally a fan of BW. I call it the best deal, you can spend more, but you will not find much nicer. Friendly staff, free above average breakfast, free newspaper, free parking, free WiFi. Feels, looks and smells clean and secure, quiet, decent looking pool. After searching 2 weeks, booked with Best Western (called national number) got best price of any. "Big bang for small bucks"
this is an excellent hotel that is very clean with polite, helpful employees and manager. the breakfast is very well prepared and is tasty, a great morning start and treat that wasn't expected. it is well-located to many restaurants and the Texas State Fair. the hotel will be our go-to home for the UT/OU game. Our stay was alright. Not worth what we paid for though. Will most likely not stay here next time I visit Texas. Really bad smell as soon as you walk into the hotel. Best Westerns are usually great but I guess it depends on who the owner is. We had a wonderful time and a pleasant night sleep. Room was clean and A/C was working wonderfully. We would continue to stay here when in town again. We are very happy and glad that our experience was a good one. We had to be buzzed in to the front door which can be seen as either more safe or concerning. I saw it as concerning. Staff was friendly but not overly helpful. Hallways smelled like weed! It didn't get into the room, though. The room was okay, wish there was more lighting. Make sure to keep your 'do not disturb' sign on your door, and check the room thoroughly before you check out. As soon as housekeeper already went through your room, anything they find, they'll stash it away. You will not get your belongings back and housekeeping will lie about not seeing anything. "Another sub quality Best Western"
At first we thought this might be an okay, convenient property. Things didn't work out that way. Key cards didn't work. Room was fairly clean but adult items were found under the bed and the spread had stains on it. Breakfast items were limited and unappetizing. Food quality and service is good. 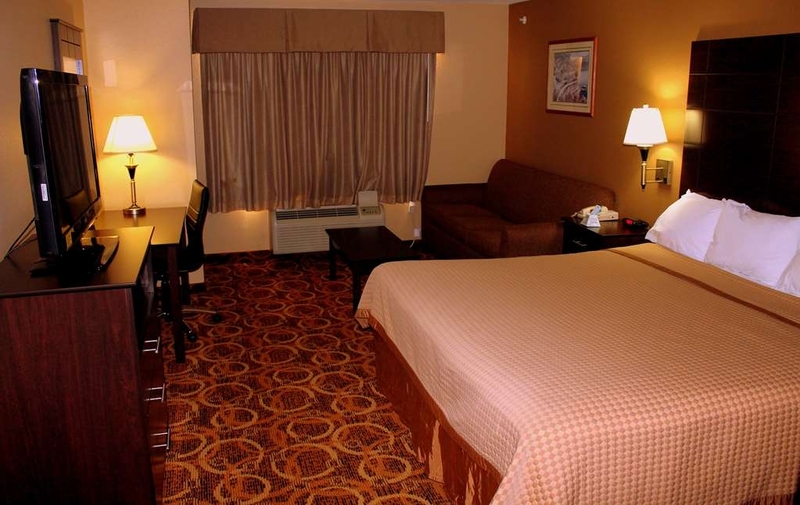 The overall standard of the motel and exceptional service fro the staff was excellent. I will certainly be staying here again. Very reasonably price. This was my second stay at this particular location and it was quite comfortable. "Place to stay in comfort zone"
Would recommend to all my friends. Breakfast, Wifi, Pool, Inner lobbies, Rooms and gym are excellent and front desk guys are showing good hospitality. Calm and quiet environment. Rooms are ravishing and laundry was good. "Don't knock it till you try it!" This hotel is extremely clean and the staff is very friendly. Not only that, they help you find your way around town, answer any questions you might have and if you need "extras" in your room, they will happily provide you with any "extras" you might need. We totally recommend it! Very nice staff. And service is good. The room is clean and spacious. The restroom are clean. Good breakfast. Good internet. I would like to stay in future travel stays. .and there is a pool which is clean. This hotel on Northwest Highway in Dallas, is my favorite place to stay in Dallas...and I have exclusively stayed there when in Dallas for the past several years. Manager and staff are extremely helpful and accommodating. 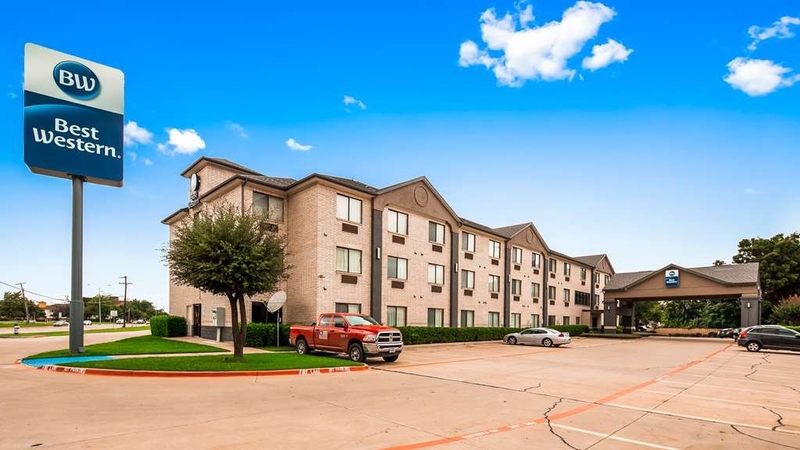 The location is convenient, not only to where my activities are, but is close to Love field, plenty of places to eat, and also near major thoroughfares. The rooms are very comfortable, well furnished, and the wifi is reliably fast. I can't say enough good things. "Had a nice and pleasant stay which is a true sample of excellent hospitality"
Initially I read reviews about this motel and I though that I got wrong one, but after getting into this motel I was spell bound it is simple and beautiful and all reviews that I've read about this motel just brushed off from my mind. When ever I come to Dallas, I will book this motel only. Checkin and Checkouts are as simple as it, employees are more customer friendly, I got a room on first floor and I din't say anything, after going to room they called me and asked is everything alright about the room? and I said yes it was good but can I have it on third floor and they immediately did that, I don't like a room on first floor. Had 2 rooms and both were very good. Clean and comfortable. All staff members very nice. Shower was fantastic! Breakfast was very good too. Location was good for us and especially liked the drive in to hotel. Kind of round about way to get to hotel but that felt safe to us! We were very happy and would absolutely stay here again! Convenient location to Bachman station. To DFW and downtown Dallas with just 12 minutes walk. Sidewalks missing and some places remain under construction resulting in a problem for pulling luggage particularly when it is raining. Great comfortable and clean place to stay,I have been staying at this hotel for the last few years while working in Dallas.Nick and his staff always do whatever is necessary to make every stay as comfortable as possible. Even when working in Fort Worth I will drive back to Dallas to stay here. Impressed. Exceeded my expectations. Shocked at the negative reviews. I can't wait to go back! I went on the trip for business and I stayed for 3 nights. The service at the counter was friendly and genuine. The food was fantastic. Everything was clean. Even the housekeeping was genuinely nice. So happy to be able to leave a great review! It's ok for an night to sleep and showering and then get back on the road. The room was semi clean - vacuumed, dusted but head board on bed had hand prints and smears all over it. The remote for the tv was gross. "Clean, new carpet and appliances, great value for the price"
Clean, new carpet and appliances, great value for the price! Also, great location within 1 or 2 miles of lots of restaurants. Helpful staff. Internet signal was strong. Lots of parking. Near hi ways for easy access. "The check in was pleasant.Love the fact that you have rooms that you can smoke." Everything was good. The breakfast on the other hand was horrible. Also you can not take the breakfast back to your hotel room which was not cool. Every other Best western I have always had breakfast in my hotel room. The clerk allowed it because my husband told him that his wife just got out of the hospital. The rooms met the basic clean standard. The location is close to airport and at the time hard to travel to due construction plus access is limited because of permanent right of way structures. The breakfast was one of the worst. That makes for a terrible start in the morning. The coffee was bad, too. I stay at best westerns often. "They have "smoking rooms" available." First stay in this hotel. Found this Best Western because they have "smoking" rooms available. Nice, clean place. Friendly staff. Reasonable rates. Convenient location. We had a Jacuzzi in our room! Standard amenities. Restaurants near-by. Continental breakfast buffet available in the morning. Coffee maker in the room. Flat screen TV with satellite channels. Refrigerator in room. We'll be back. "Worst Hotel I've stayed at for years!" "Clean room , great service, great price"
This was my 2nd stay at this location while traveling alone (65+ grandmother) to visit area family and I picked this location because I felt extremely safe & comfortable the first time I stayed here. Its location is easily accessible to a couple of major highways and less than 2.5 miles from Dallas Love Field and yet the interior had no traffic noises to disturb my stay. My room was extremely comfortable, clean, neat and provided great amenities, frig/micowave, coffer maker, hair dryer, iron & ironing board and television with excellent channel selections. Areas outside of the room were also very clean and very updated and very attractively decorated which made me feel very pleased with my choice to stay at this location. The office center had available a printer for printing any needed driving directions, boarding passes, etc. "Convenience Near UT Southwestern Hospitals"
Management and staff very friendly and welcoming. 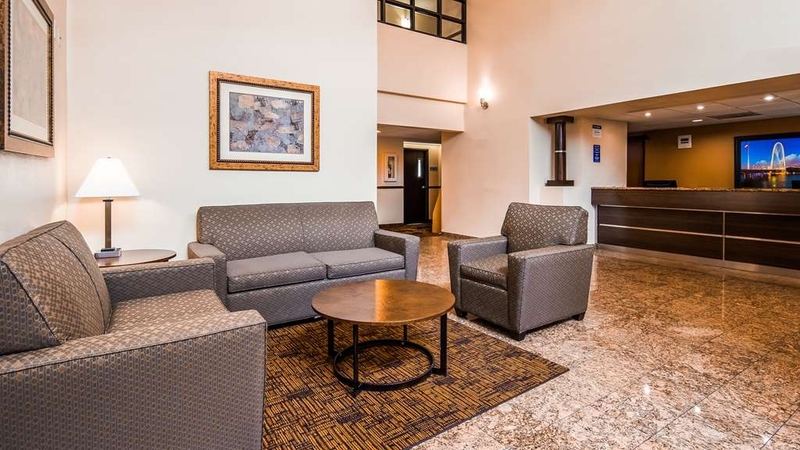 Best Western Northwest Inn is a EASY drive to most major hospitals in the Dallas, Tx area. About a 4 mile drive straight down Harry Hines Blvd. Very important when your main objective is to be close to UT Southwestern, Parkland or Cook's Children's hospitals. Prices are very reasonable! Staff was always available to you at the front desk all hours of the day and night. The hotel currently is updating completely to NEW furniture while during our stay. But this didn't prove to be a issue during my stay there. The pool are was very clean and beautiful. 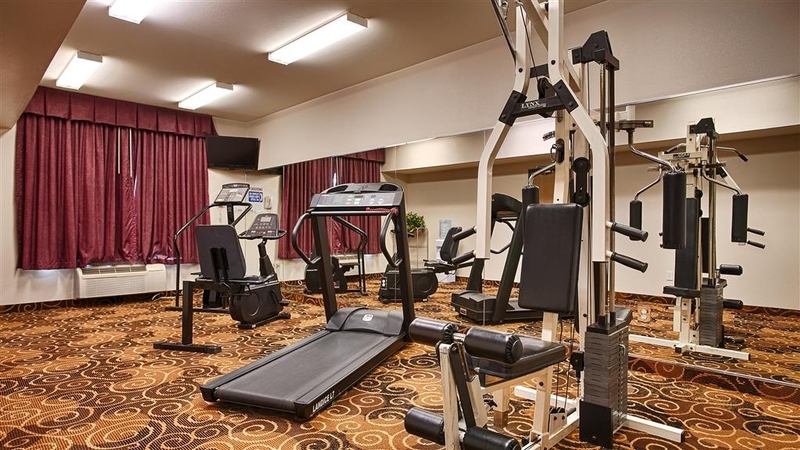 A full excretes gym is available to any who wish to work out during their stay. Breakfast is available at 6:00am and we found it to be filling and convenient before we drove to hospital daily. dirty room, out of date decor, hot food is cold, toilet leaking, outlet broken with wires and meta hanging loose, beds hard and uncomfortable. wouldnt recommend staying at all. save your time and money and go somewhere else. Enjoy our stay at the best western, great services, very clean room, great breakfast only thing they needed was more washing machines and dryers. Thank you very much, looking forward to staying here again soon! I cashed in BW points to stay here and if I had paid I would've been more upset. The staff was unprofessional and not very friendly at check in. The parking lot was not crowded and well lit. The lobby was clean but you can tell there was some remodeling happening. The room was not what I would expect from a best western. It had an odd smell. Coach was damaged. Desk and tv stand had chips, bed was not the best quality in the way it was made and the mattress comfort level. The bathroom was not bad but the shower was gross. The tub bottom was stained and there was soap chunks left in the soap tray. I was not happy with my stay. We were happy and fine, staffs were helpful with all questions and being friendly. Room was cleaned daily and neatly. They do have clean laundry room. Lotion is in between the airport and downtown for your conveniences. The staff was fantastic here but that's about as far as it goes. Our room was over 80 degrees when we walked in to it. The a/c was already on, so we went down the street to Jimmy John's and figured we would ask to move if it didn't cool off any. It did enough that we just stayed. Then we took the kids swimming. I shouldn't have gone under in my goggles. There was tons of hair, bugs, leaves, etc. in there. I know pools get dirty but this one seemed extreme. When I went down the next morning to print boarding passes the printer didn't work. Not a pleasant experience the night before a flight. The hotel is very close to Love Field but it's not worth the cheap price and proximity. I thank you for your response to my review of your property. I would like to inform you that I did not make these reviews lightly. I did want to let you know that I have been to many Best Western Properties over the years. I have also tried to explain to the Manager on duty that there were issues. I do not know if that was yourself or someone else. I checked into my room and filling the hallway was the thick odor of marijuana smoke. Since I arrived early I wanted to wait it out thinking when I called down to report it that it wouldn't be a further problem. Through out the stay and even in the morning of check out I could still smell it. It had not been properly handled. I also found in my mini-fridge in my room old food and a dirty freezer with frozen molded packets. This is below the Best Western standards. My room did have 2 beds as requested. However bed "A" closer to the bathroom did not have a fitted sheet it was only covered with a plain sheet and blanket then the duvet. I found it difficult to get a goods night rest on the sheets as they were pillsy. The air conditioning was terrible it had only 2 settings: cold or humid... my room was so terrible with humidity. I am concerned that they are not being serviced regularly. This should be something that you add to your preventive maintenance logs. I then dealt with the fact that the manager could not recommend any vegetarian restaurants though he said he was also a vegetarian. In fact when i asked for information about a local good restaurant I was told " just down the way there are some different places to eat" however this did not answer my question.. I just wanted to know where I could be recommended. In the morning my husband called me into the bathroom to show me the bathtub with a filthy soap scum ring. hairs in the shower and on the walls. When I went to use a Kleenex there was none in the holder. I was so disappointed that I said lets just drive all the way back to San Antonio. When we were going to stop and speak to the front desk rep in the morning. My children went to begin breakfast without me while I checked out. However your desk clerk was more concerned with his phone call. He looked at me and continued to talk on his phone.. so I waited... and waited until he pulled the cell phone from his head and asked what he can do..) I told him its OK I can wait ....(it must obviously be important if he is more concerned with that... he just held it at his side' .. never hanging up the phone. I then informed him I had issues with my room as was going to explain them.. he just said "I am sorry" I told him the manager can call me if he would like to discuss with me the problems since he wasn't interested right then. I then went to have my breakfast. Sub-par! everything was empty. gravy on the counters, nothing in the bins was filled. No fresh fruit in sight... the juice was water since the machine seemed to not be pumping correctly. My children ate what they could scrounge from the kitchen ... I informed the front desk clerk it was all empty. He talked on the phone and walked to the kitchen and never came out with more then one hand could carry. He obviously was on an important call ... This is so far below any Best Western Standards... I told all my colleagues that of the hotels in Dallas to stay somewhere else. Since it has been 2 weeks I am think believe your management had no concern with my stay and therefore I wrote this lengthily email. I will now be listing this on TripAdvisor. Over the phone I was advised there were plenty of rooms and to come in. I get there and the clerk states there were no available rooms, so my wife came in and showed where she had spoke to someone ten minutes prior to our arrival and was told to come in. All the sudden a room is available. I had to pay a cash $50 deposit, I asked for proof that I paid it and would receive my money back at check out. He then refused to give me proof. The A.C did not work. It smells like a bar even in nonsmoking rooms. The shower looked as if it had never been scrubbed down. The beds are so uncomfortable I ended up sleeping in a chair at the table. Excellent hotel, safe, secure and clean with friendly staff! Location is out of way of heavy traffic, plenty of various places to eat in the local area. Easy access to highway for travel back into downtown Dallas. 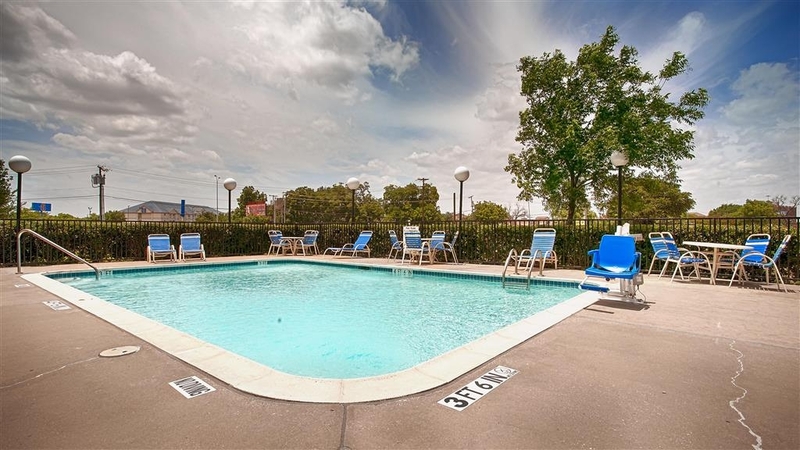 The location was close to Dallas Love Field and the price for a night was reasonable, which is why we chose it. After a really long day of travel, we get there to check in. There is another guest at the front desk ranting and raving about everything. His language left A LOT to be desired. I wish that the manager on duty would have handled him differently, asked him to calm down and watch his language in mixed company, or better yet......escorted him to his room and helped him gather his belongings and excort him out. I can't imagine needing the business that bad that you would put up with the treatment he was dishing out. We went down the next morning, the breakfast area was full of people (different ones from the night before) pretty much talking the same way. "Great Room...the third time around"
I had a great time staying at this hotel...after checking out three rooms and picking the best one. The first room had a window issue (window couldn't close). The second room had a heater problem. The third one was just right. This didn't bother me as no one reported it to them. Great breakfast and fantastic pool! "No place I'd rather stay in Dallas"
This is the place I book for all of my Dallas, Texas, trips... Convenient location with restaurants, shopping, services, and recreation very near. Also, the staff knows I'm there to assist in events for charity and they go out of their way to accommodate during my stays. I have been staying at this particular motel since 2011, & wouldn't want to stay anywhere else. not as updated as some ot the BW I've stayed in. The bedding was older and a/c in my face all night. I would have thought they would turn the A/C on before I got there. My room was hot and stuffy. The Jacuzzi tub is why I chose the room. It was pleasant. The staff at the desk was really nice. "Nice stay on a weekend"
"Low end for a Best Western"
Stayed here because it was not far from Love Field for an overnight layover. The decor was drab and worn out. Location was a little hard to get to off NW highway. The Motel 6 across the highway seemed to be easier to get to. Breakfast was juice, coffee , reheated egg patties, sausage patties , toast, and a very nice Waffle maker. Not high cuisine but saved me having to find a breakfast place. Definitely not up to usual Best Western standards, I'm surprised that they are able to stay affiliated with the BW franchise. Great service and excellent conditions. Front desk was very helpful and it was very fast to check in. The only issue was not having hot water to shower the morning of checkout, but service and room condition was excellent. The hotel was clean. Staff were courteous and helpful. The one downside was the free continental breakfast -- eggs and sausage were cold and had been sitting on the buffet for a while; and, limited selection of other foods. I would stay again because the location is great for my purposes. The hotel staff was very friendly and willing to help. Every encounter with the staff from the desk to the housekeepers proved to be a friendly experience. Friendly greetings and a clean facility was only a small part of this experience. The only negative I can mention is that the facility could use some improved outside signage. From the road, it is not clear where to turn in from the highway, and once you turn, you have no idea exactly how to get the the front door. This same perception was expressed repeatedly by taxi/uber drivers that we used to get around. The hotel was off the highway but had to do several turnarounds to get there, Great restaurants nearby. Room 117, the shower did not work. Room was clean and non-smoking but it still smelled like smoke. If you are a smoker, this is the best hotel for you! Breakfast was lacking and I had to ask the guy who worked the front desk and cooked breakfast to cook more and it was just 8:30 am. Not the usual Best Western quality. The welcome at check-in was missing, the odor in the hallways was obnoxious. The roll- away bed and a TV were in the hallway the entire time we were there. This is not a location that we will return to. "Appears to have been recently refurbished"
My room was clean, everything was in working order and all of the room appointments appeared to be relatively new. The staff at the desk were discrete by not announcing my room number, and I appreciate the Thank you bag containing a bottle of water, a Coke and a bag of Planter's peanuts. If you are looking for a luxury hotel.....keep looking. If you are looking for a nice, clean, very reasonably priced place to spend the night, this is a good one. Marijuana smoke filled the halls. Room was clean but bedspread had cigarette burns. Free breakfast was terrible. Will not stay there again. Staff were friendly but the room was way over priced and hotel was in a bad area of Dallas. "Went for a small vacation; was great!" We (My friend and I) went to the Best Western Northwest Inn in Dallas Texas and it was great. We arrived upon 10:30 pm and they made the checkin process as simple as possible which we loved due to long travel time. We went in and out all night and day and they never bugged us about it. As we wanted a non smoking room but are smokers. Whether it was 1 am or 1 pm they were super friendly and accommodating. We stayed 4 nights and was there for 5 days. Our last day, we asked the front desk for a late checkout and they were super helpful and extended it for what we asked for which was noon and even told us that we could have until 1pm if need be. Super great people that work there. Hotel nice but I was not advised that the elevator did not work! I was attempting to go up to my room and noticed the out of service sign. When I asked the front desk why he failed to mention it his response was I forgot. Room clean, adequate, but sofa very uncomfortable and old. Bed very soft. Owners do not appear to pay enough attention to cleanliness in the breakfast room and other places. Strong odor of cigarette smoke near the lobby. Outdoor trash can overflowing with garbage. The facility was very nice, everything looked new. We had a 1st fool room access was very good. The room was a regular room, it seam to be an extra large room. The full breakfast had every thing I wanted the waffle came out perfect as well. Rooms are great but the way they treat you is even better. Fast, friendly, customer service!! Clean rooms, clean motel. Would definitely recommend to a friend. We stay their very ofter and have always recv'd the best customer care. I was pleasantly surprised with the cleanliness of our room and the hotel in general. I had read a couple of unfavorable reviews about the surrounding area prior to booking. This was unfair. There was nothing to be concerned about at all. The surrounding area is good, with several other hotels in the area. Easy access off of Northwest hwy and a very short distance from I35E. The staff was friendly and helpful. I'm still impressed with the cleaning crew. I will definitely try to stay here next time I'm in Dallas. A modest hotel with much to be modest about. Good value for the price, but nothing to inspire you to poetry. Expect traffic nightmare if you are headed downtown. Plenty of good restaurant choices within about half a mile. We were delayed overnight at Dallas Love Airport. The accommodations were nice. The staff assisted us with obtaining transportation back to airport a few hours after our arrival. We only stayed a few hours but the hotel and staff were accommodating. Great place to stay. Room and bed was comfortable. Easy access to any place I needed to go. Friendly staff. I did have to wait a bit for check-in,there wasn't anyone behind the counter. I coughed so to get their attention. But the stay was great! "suckered by inhanced and self proclaimed statements"
will not ever use this Best Western again... The corporate QA needs to go and see for them selves... Location is bad not near any local retail, closest entertainment if you want to call it so, is a men's club.... The local food delivery service was fast and reasonably affordable. My king was an enjoined room where my neighbors had children bouncing off the door at 2:30 AM.. They returned to their room after 12AM and were up and loud till three. I finally called their room thy didn't answer but they got quite. (room 109) maybe more people were in the room then registered for??? I would stay at this hotel every time I am in Dallas, because the rooms are the absolute best. The microwave and refrigerator are wonderful to have available. The staff and management are very helpful and accommodating. I stay here several times annually and have done so for a number of years. I wouldn't stay anywhere else in Dallas. Good location (if you have a car) close to Love Field Airport ando about 15 minutes from downtown Dallas and DFW. The room was big, altough a little old. The receptionist basically didn't interact a lot. The breakfast only is the basic american one. "Do not stay at this hotel"
The wifi does not work anywhere and don't be fooled by the computers and the printer in the lobby, they don't work either. The staff did not seem to care that none of these things worked and made no attempt to fix them. There was strong smell in the lobby. not sure if there was construction are smells like old order. i almost wanted to walk out same time but it was kind a late to book and look for something. Staff was good no issues. i was in my room less than 10 minutes. "Surprisingly contrary to several previous reviews.."
A good stay was had here. The property does look a bit dated and unkempt from the outside but the facility seems to be just fine and in a good location. We had an issue with the Wifi and the front desk staff took care of it in a flash.. A+! Also the weight cable machine had an issue with a broken bar and the manager (who was there on a weekend.. Another A+) did way more than the usual 'We'll take care of it right away' and assign it to someone on Monday, he did his best to take care of it himself right away and assured me a working part was on order. Breakfast was always right on time with more than enough delicious variety though some hot items did seem over-microwaved. Most importantly, the room was very clean and when we saw housekeeping in the halls they were are so friendly. This place is good value and I'd stay again. What shame! Great location, nice facility but kind of nasty. Nasty odors in elevator, halls, and especially the room. The stains on the comforters along with the smell gives the impression that you really don't want to touch anything. Bathroom was nice and clean just as you would expect from a Best Western. At 8:30 am the breakfast area was a mess, had the place to myself and not a clean table to found. I will not be a return customer to this location. "my repeat stay with Best western"
very satisfied. room clean and bed comfortable. Staff friendly. quiet had a good night. Did not eat breakfast. Left early for work. Good location. Always stay in this hotel when around this location. Luv Best western hotel! 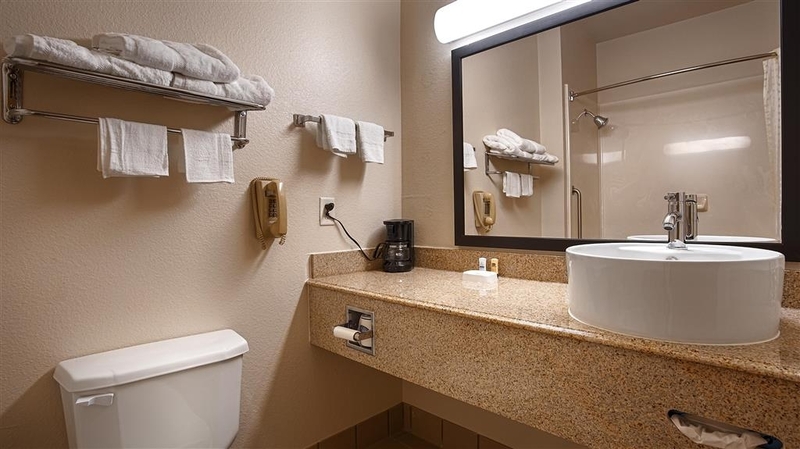 "front desk employees are very helpful"
nice place to stay, good hospitality, nice breakfast, front desk employees are very helpful they fixed the bathroom immediately, price is very affordable when compared to other motels around this area. My stay at this hotel is usually no more than 3 nights but the service and rooms are always consistently Excellent!! I stay here every other month and will continue to do so! I will encourage anyone looking for a GREAT economical alternative to over priced rooms, should seriously put this hotel on the top of there list. My employees request I book with this hotel anytime we are in the Dallas area. The front desk staff need a lesson in customer service. We reported our toilet leaking on the first night and asked to switch rooms. We were told they couldn't do anything about it till the next day...they couldn't even bring us towels to soak up the standing water on the bathroom floor (even though the family that runs the place were staying directly across the hall from us). My husband went down to get towels and there was another staff member hanging out in the lobby. The following day, they never did check on the issue, so my husband went down to the front desk (approximately 14 hours after we had first reported it) and asked again to switch rooms...the clerk came upstairs to check the leak, left the room for a few minutes, and brought back a bowl to catch the water. That was it. He didn't even apologize for the inconvenience! We definitely will not be back. "Not the Best Western Im used to." 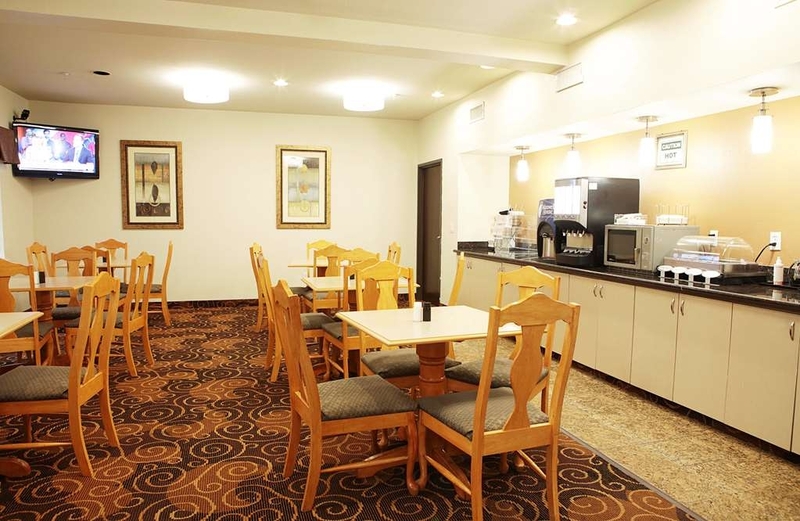 To begin with, the rooms are good as usual that Ive come to expect from Best Western hotels. That's where it ends. The staff appears to be a family operation, and need a lesson on "customer service" skills. They don't greet you or say a thing as you walk in or past them. The lobby is very limited and plane, with no lounging or relaxing areas. And the so called "hot breakfast" is a joke for Best Western standards. I should have taken a photo to post. And one last thing. Family operated or not, they should at least hire someone that can speak clear understandable English to work at the front desk. They are from India, which I have no problem with since my wife is also from there. But they are hard to understand, and even I have to have them constantly repeat what they say. And they need to operate there Hotel like it is in America, not India. (Yes I've been there). As for location, this is not there fault, but if you haven't been to Dallas, this is not the better location in the city to be around. Got to motel early and was not a problem. Very nice room, internet worked great. The staff was very friendly and helpful. Very generous at check in with goodies. Nice quit motel great location close to Love field and food and beverage places. First time here and will be back when in area. "No idea how to run a hotel"
Good rate, but would not recommend for a family stay. King bed had no fitted mattress sheet, but rather a cover sheet. Found black hairs under the mattress sheet. Where you would find travel info/tourist info, there are placards for all the men's clubs in the area. Front desk workers not very friendly. Enjoyed my stay . Very quite and peaceful place to stay .Close to reasturants and shopping areas . Hotel overall was excellent . I will stay here again when im back in town on buisness or pleasure . Tank you for a very clean and maintained place to stay . "Good value and great service"
Great location off of 35E and the route12 loop. Close to the Love airport, but quiet. Clean rooms with friendly and helpful staff. Stayed 3 days visiting family and sightseeing in Dallas. Good variety for breakfast. "Good Value but still needs improvement"
The Breakfast only had toast, a few muffins, and no eggs, biscuits, nor sausage two days in a row. Also there was no milk left for cereal on the second day and the first day the milk was left out in a container with warm milk. So I had to go some where else for breakfast. Also the people at front desk during my stay were not very helpful at all besides the person who checked me in who was somewhat helpful. The reason for that there english was a little foggy and they couldn't understand my questions very well. Also they need to make it easier for people to know how to drive into the hotel because both my uber drivers had to turn around just to get to where they could drop me off. The hotel Room though did had reasonable value and was clean so I have no complaints with the room it had more to do with the staff I had dealt with. I wouldn't return, it was definitely not what I expected and I was uncomfortable. I don't recommend it. It wasn't clean, it seemed cheap and the amenities were not good. I don't think it was worth what I paid for.